BRAND NEW wiper delay module kit. The factory switch has three positions; off, slow, and fast. 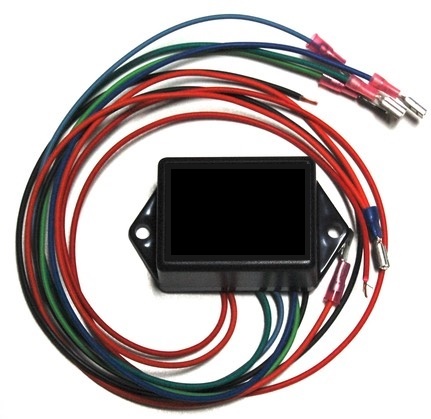 This intermittent wiper module uses the factory switch to select between several modes of operation. The "off" and "fast" positions retain their functions while the slow position becomes a center or "neutral point." Much like paddle shifters can shift a transmission up and down one gear at a time, moving the switch off the center neutral position and back will cause the module to move up and down in it's sequence. This switch allows wipers to be operated at once every 8 seconds, once every 5 seconds, once every 3 seconds, continuous slow, or continuous fast.